← New worst movie of 2011? I’ve always had an interest in Canadian military history – a niche topic that often doesn’t get enough attention or interest amongst my generation. So Jake Olafsen‘s book Wearing the Green Beret immediately intrigued me; here was a peer – somebody my age (30) from coastal British Columbia – with a similar love of the outdoors who had (willingly) undergone some of the most intense military training in the Western world. The whole story of his training and deployment, which he describes in the book, was fascinating, and opened up a whole world that I was ignorant of. I mean, I don’t know anyone my age who has served in the military, never mind earned a Green Beret (with the Royal Marines). Wearing the Green Beret covers not only Olafsen’s training and missions in Afghanistan but also, in the last part, his travels elsewhere as he served. The book opens a window into his life and is extremely compelling, coming as it does from a perspective rare in Canadian history, military or otherwise. He speaks to that point in this interview, which took place on a rainy morning in a Yaletown coffee shop in January, while his girlfriend and PR rep watched on. Robyn Hanson: You grew up on Vancouver Island? Jake Olafsen: I was born in Comox and I did most of my schooling in Nanaimo actually, now I live in Campbell River… I’m all over the place. It’s beautiful up there, depending on the weather of course, haha. RH: It was really interesting to me, as an early-30 something peer from the west coast of BC, to see that insight into a world that’s so foreign to me… like the movie Full Metal Jacket, you were living that kind of nightmare. Are you familiar with Full Metal Jacket? RH: Were there times where you felt like you were in a movie? JO: There were times when it’s kind of surreal where I’d just sort of take a step back and think, I can’t believe this is actually happening… this feels so out of this world, so foreign, it’s something that you’ve only seen in movies or read about in books. You know, the “It’ll never happen to me” scenario, but it’s happening. You take a moment to look and around and make sure that it’s actually real. But it’s a good feeling, I think. RH: Was there a particular moment that was especially surreal? JO: Yes, as a matter of fact there is, and it’s not an action scene or anything. It was a training exercise after I had done my time in Afghanistan. In the Royal Marines we train all over the world, and we were in Bangladesh and we were staying on this boat on the Ganges River Delta, just a small local boat that we had rented because we needed to get up and down the river. And the guys were on there, the Bangladeshis who were operating the boat, and this one night a huge lighting storm came up from out of nowhere and the wind came up and we had these other big, bigger boats that were like, two or three times the size of ours. Their anchors all started to break loose in the high wind, and so they were coming up, they were crashing up against us. On the shoreline it sounded like a mob was lynching somebody. It turns out that it was like a town hall meeting and they were having a political debate. There were people screaming on megaphones, trying to get their kids in out of the storm as it came up. And on the big boats that were crashing into us, they were listening to, like, Arabic music, like just blaring down. And the dhow that we were on, at night all the cockroaches would come out, it’s just filled with cockroaches, and it was just disgusting. And so there was just this one moment where we – it was me and a couple of other guys – were just standing on this boat watching the storm with these people just screaming and these Bangladeshis everywhere, and cockroaches crawling around, and just all this really bizarre stuff happening in this real hurricane-like storm, and I thought, “This is bizarre. This is a very strange evening.” And that was just a real surreal moment. JO: Well, I’ve always been able to write, I guess. Like when I was in school I always did well in writing, but when I was going through training, week by week I would summarize what we did each week and I’d email that back send to my whole email list, all my friends, my whole family. So everybody read my emails and started to say, “You should turn this into a book, this is good stuff”, right? Everyone was saying, “I can’t wait! I look forward to reading your e-mails every week because they’re so entertaining and so straightforward!” And that’s kind of what led to it. JO: I went back to the emails, of course, and throughout training I kept a journal, every single day. Every. Single. Day. When I was in the field, when I would describe how tired I was at times, that stuff, even on those days I’d still kept a journal, although most of those entries were one sentence, right, or less, but it’s there, you know? Just a few words to prompt your memory. And I did the same thing when I was overseas in Afghanistan. Every single day I kept a journal. Every day. So that’s where I got all the material from. JO: I’ve seen a Brad a few times since training. RH: Has he matured at all? JO: He changed dramatically. Yep, he’s grown up a lot. The last time I saw him was in Brunei on a training exercise. Our paths crossed and, we had a chat. I keep in touch with everyone else mentioned in the book. I keep in touch all the time – that’s the magic of the Internet, right? Half of those guys in the book are still in the Marines today and half of them have left as well. RH: Have they read the book? I know that it’s been recently published. JO: The training as a whole? I don’t think I would do that again. JO: It’s worth it to do it once, but I don’t think I’d do it twice. If I had to do it twice to get the green beret, I don’t think I’d do it… but I’d do it once. RH: Who do you think your audience for this book? JO: I think it can be a pretty broad audience – regular military type book readers or military readers, which is quite a small audience, but also I think this could be taken to a broader audience because, for one thing, the patriotism is pretty high in this country right now. And with the military and our operations overseas as Canadians, a lot of people can relate or want to learn more about the conflict in Afghanistan in general, so this is pretty current information. What makes this book different from a lot of the other Afghanistan-related books that are out in Canada right now, is that it’s written by someone who was actually on the ground doing the job. I don’t think there’s any other book like that in Canada right now. There’s a couple of Canadian generals who have written books – Rick Hillier has a book out – but these are generals. They have a different perspective on life than a guy on the ground doing the job, and the only other ones that I know of are written by reporters, like Christie Blatchford, and they’ve compiled together some other peoples’ stories or use the information that they had when they were on the ground. But they were on the ground taking pictures and only being put in harms way so much, right? So it’s a unique book in that sense. RH: Do you think this book will shift perspectives on how people see Green Berets? JO: I think so. 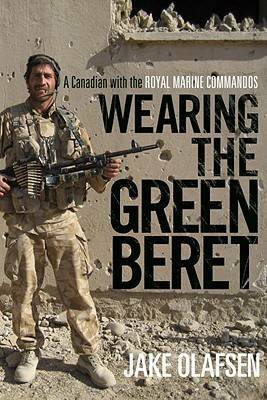 In Canada, everyone’s heard of a Green Beret. Most people don’t understand what the green beret really signifies, or what it takes to earn a green beret, so it’ll bring some focus or at least some education on how intense it really is to get one. They don’t just hand them willy nilly. If you want one, you earn it. RH: Do you see yourself writing another book? JO: Absolutely. I’ve already started! RH: Have you? May I ask what about? JO: It’s fiction! Yep, I say it’s like Tom Clancy for dummies. It’s like military action. I have to write about what I know. This entry was posted in Homepage Features, interviews and tagged books, interviews, Jake Olafsen. Bookmark the permalink. Great interview! Never had heard of this book before but now I want to pick it up. It must have been amazing to meet jake! i have read his book and the guy is excatly what i strive to be in all measures, strength, insight and expirience. I think just meeting him would be amazing, but great job on the interview! Excellent book…..I couldn’t put it down and finished it this morning. A friend is coming over later to borrow it. I have nothing but respect for Jake and his desire to want to experience something different in life. 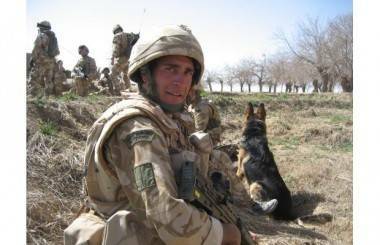 He couldn’t have chosen a better military organization than the Royal Marines. Glad to hear he has another girlfriend. Erin, definitely pick it up! Austin, it was really cool to meet him. To be honest, I was actually a bit nervous at first! such a great good book. my father was reading it. and told me about it. i had to see for myself. and now i cant stop. Good to hear. 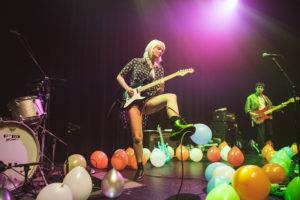 Our interviewer Robyn sure liked it! Is Jake working on another one? Just finished your book. Really amazing accomplishment. I’m originally from the UK & my Dads bro was a Colonel in the RMC , until he retired in 1980, he serve in ww2. So all respect to you.i will look out for your new book! When will it be published?